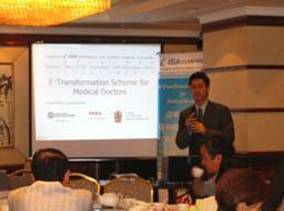 The objective of the “Sector Specific Programme for Private Medical Practitioners (PMPs)” (the “Programme”) is to promote the adoption of IT usage among the medical industry in Hong Kong. 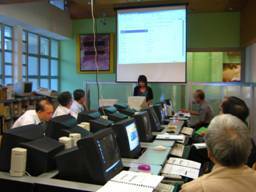 It consisted of a survey on the IT usage for PMPs, roadshow, a series of seminars and workshop for the PMP. 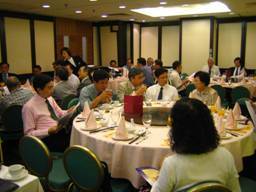 The Program would be completed by end of 2005. 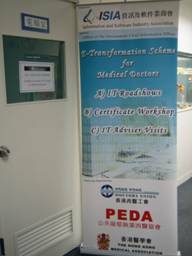 The Programme is co-organized by the Health, Welfare and Food Bureau (HWFB), the Commerce, Industry and Technology Bureau (CITB) and Office of the Government Chief Information Officer (OGCIO) of the Hong Kong SAR Government, as well as Information and Software Industry Association (ISIA), the Hong Kong Medical Association (HKMA), HKDU, Practising Estate Doctors’ Association (PEDA). From the survey on the PMPs, it was revealed that IT usage is not very common in most PMPs. It has to some extent inhibited communication and information exchange between PMPs and the health authorities, which have become increasingly important in the protection of public health,. ISIA and OGCIO is planning to organize additional series of IT training to all PMPs aiming to help them acquire practical experience in IT skills and usage.